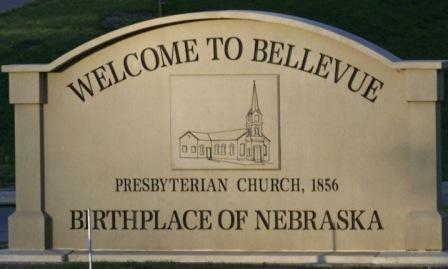 Are you looking for a home, condo, or apartment in Bellevue, Nebraska? Whether you are looking to find your next residence for sale or for rent, count on Sandi Downing Real Estate to locate the perfect home, condo, or apartment in Bellevue for you. There are many apartments for rent in the Bellevue, Nebraska area. You can find an apartment ranging from a 1-bedroom, 1-bathroom, 700 square foot apartment for around $500/month; to a 3-bedroom, 2-bathroom, 1367 square foot apartment for around $1,500/month. Be sure to contact a Sandi Downing Real Estate Agent to find the perfect apartment for rent today. Most of Bellevue’s primary and secondary schools are part of the Bellevue Public Schools District. There are also a few parochial schools in the area, including St. Mary’s Elementary and Gross Catholic High School. Bellevue is also home to Bellevue University, which offers numerous accredited baccalaureate, master’s, and doctoral programs. There are numerous attractions throughout the Bellevue area. The Sarpy County Museum promotes and preserves the area’s rich history, and Fontenelle Forest is one of the area’s most popular attractions, encompassing nearly 2,000 acres of forest, prairie and wetlands. Find the perfect home, condo, or apartment in Bellevue today! The council meets the second and fourth Monday of each month. The open meeting is held in the council chambers in City Hall, usually at 6:00 pm. The agenda for each meeting is published here. Serving the community since 1961, the Chamber of Commerce hosts special events that include an Annual Dinner, Runway Run, Riverfest, Veteran’s Parade, various Networking opportunities, Golf tournaments, Real Estate Showcase, and much more. Click here to view the Chamber of Commerce Special Events Calendar. Serving the community since 1929, the Public Library hosts activities for all ages throughout the entire year. Click here to view the Bellevue Public Library Calendar of Events. Sokol Park hosts a variety of entertainment, including concerts, festivals, drive-in movie nights, and special holiday events. Click here to view the Sokol Park Event Calendar.